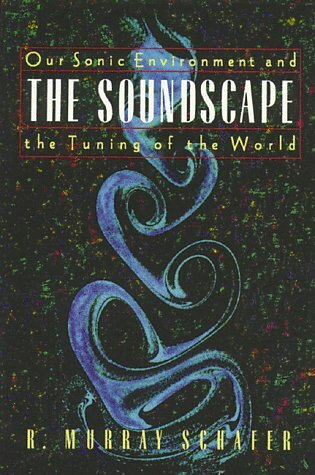 In an earlier post on this blog I mentioned the book “The Soundscape” by Canadian composer and writer R. Murray Schafer. 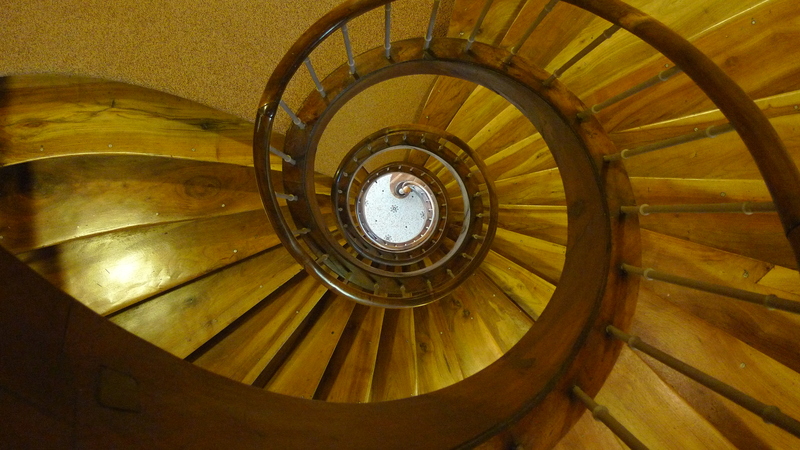 The word “soundscape”, one of Schafer’s designs, is used to describe our sonic environment, all of the everyday sounds which surrounds us in our lives. Schafer talks about how these soundscapes have changed as a result of our ever-changing society. The sonic onslaught of the Industrial Revolution, and the ever-spreading urbanisation of the world forever altered our natural sonic surroundings, filling them up with ever more sounds, both pleasurable and otherwise. Schafer looks at how these soundscapes have become ever more denser, no longer linked to the natural rhythms of day and night but stretching our borders of consciousness along with our waking hours. Last but not least the author investigates how these our soundscapes affect us and how we adapt to them by different means. It should come as no surprise that Schafer bears no love for our current sonic environment, in fact, the term he uses is “ sound-pollution”. I’m not sure that Satie really knew what he was unleashing with these humorous notions. But what is certainly true is that music has gradually become one of our most readily available filters shielding us from the steadily increasing chaos of our present sonic environments. Earplugs – for better or for worse? The American philosopher J. Levinson gives here his rather humorous contribution to the topic of filters. Levinson addresses the notion of “inner” earplugs, the sort of conscious and unconscious filtering which we all make use of during our day. Chatting with a good friend in a cafe on a Saturday afternoon would be a completely hopeless task unless we were able to effectively sift out and ignore parts of the surrounding mayhem of hissing coffee machines, loud chattering, background music, screaming babies, revving cars and blaring cellphones. Our ability to pick out the voice of our friend from all of these surrounding sounds is part of the same ability our brain uses when it filters away the parts of our reality which it deems not strictly necessary for us at the moment. Without this ability we would all quickly die of mental overload. This is more or less an unconscious act on our brains part. However, interesting things might happen when we try to challenge this natural inclination in ourselves. The reason for doing this is simple: most of the time this filtering ability protects us from a very real danger of mental overload but just as many times a filter might have been created for a specific reason: as protection against a situation long gone. It might have been a reaction to a situation which we once found threatening or invasive but even if the situation now has changed the filter might still be in place. The standard word for this mechanism is prejudice. Today we are however following a different trail: that of Listening. There is a very important difference between hearing something and listening to something. Hearing is a purely physical process which happens automatically provided that we have the necessary physiological components. Listening, on the other hand, demands a change of attitude from passive receptor to active observer. The most important ingredient when turning from hearing to listening is intent. Intent is the tool with which we are made masters of ourselves. With it we reach into the world around us with a clear purpose. At this point it is tempting to diverging into a long philosophical discussion but to keep (at least a little bit) in line with the topic of this blog I will instead turn to Listening Intentions, a term used to denote the kind of intent or different attitudes with which we might approach a piece of music. The famous proverb about not being able to step into the same river twice could apply just as easily to music: it is never possible to listen to the same piece of music twice. Of course a work of music can never be performed identically twice but the point here is that even listening to a recorded piece of music will yield two different experiences as we as listeners will be at different mental stages or in different places when we hear them. Our attitude towards what we hear changes what we hear. Therefore by changing our listening attitude or our listening intent we can change our experience of the Music. Still with me? In the next post I will take you by the ear and we will enter the wonderous land of listening intensions. It is well worth a visit.. 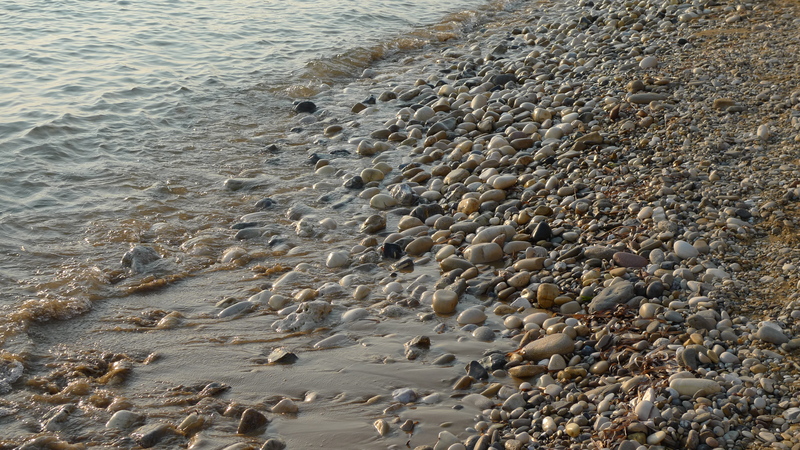 This blog centers around the lost art of listening. I am a musician, therefore listening is a main topic of my life. So what do I mean by “listening”? Well, for starters there is a big difference between hearing and listening. Hearing might be said to be an automatic response when encountering soundwaves whereas listening on the other hand involves directing one’s attention towards a specific part of something we perceive. However, today this act of directing our attention has become an endangered ability which are being increasingly threatened by the very world we live in. Have you ever felt overwhelmed by an overload of sense-stimulation? The background music of the malls and the shops, the intertwining tunes of the cell phones, flimmering commercial banners, neon signs, flickering screens, the half muffled sounds emanating out of earplugs. This is the world we live in today, a world where distractions are labeled as enriching experiences. A world where we spend huge sums on learning to practice mindfulness and internal silence while at the same time stuffing our environment with an ever-increasing amount of noise and distractions. In this world of distractions I am concerned with the comprehension of music. In order to comprehend music we need to be able to listen to it. To be able to listen is to be able to focus. The ability to focus is not something which we are born with, it is an acquired skill. In this blog I write about attention, focus, musical comprehension and the lost art of listening.